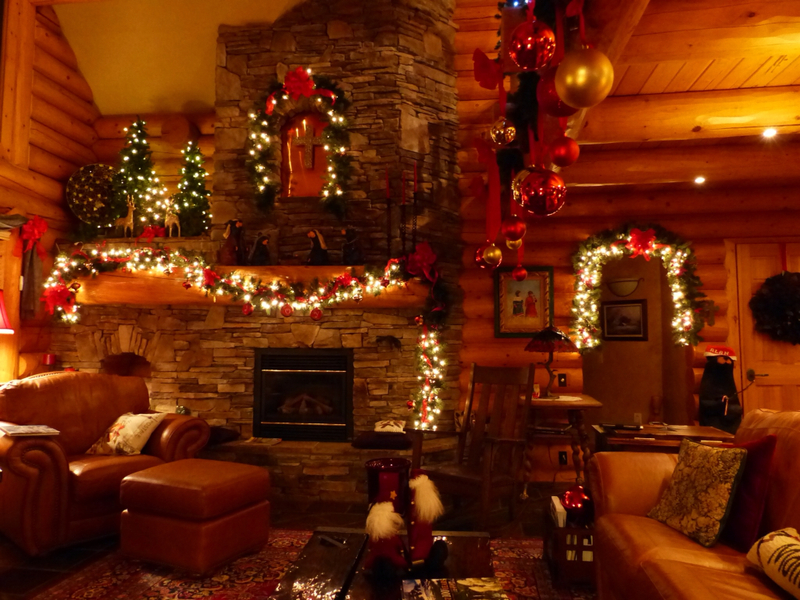 I just checked my blog and can’t believe it’s been since November that I updated! It’s not for lack of activity in my life, but rather too much. At times I’ve considered giving up the blog, but it’s probably the closest I will ever come to journaling. I love going back and reading about all the things that have happened in the last ten years. Just think, when I started the blog I hadn’t even met my new daughter-in-law and grandchildren were just a dream! So, let’s begin to catch up, shall we? 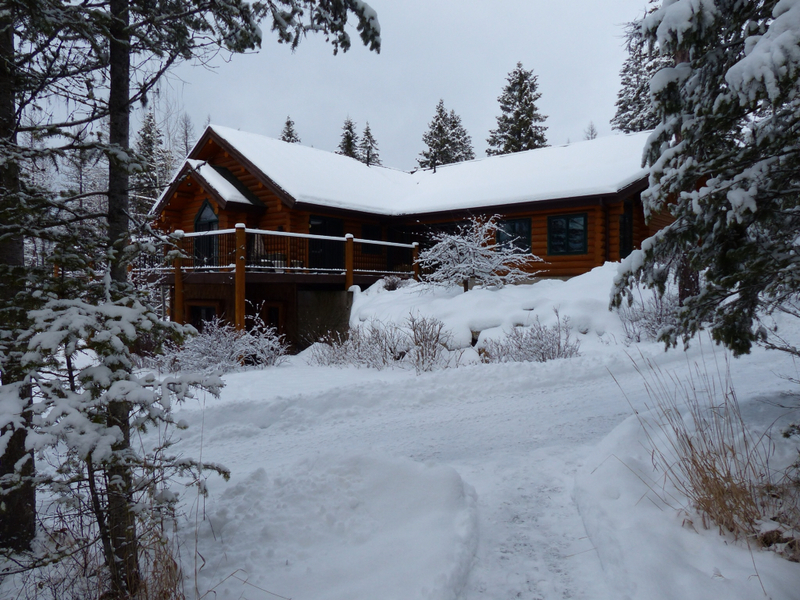 In January we had the opportunity to visit friends in Whitefish, Montana. Eight of us boarded the train in Everett and arrived in Whitefish 12 hours later. 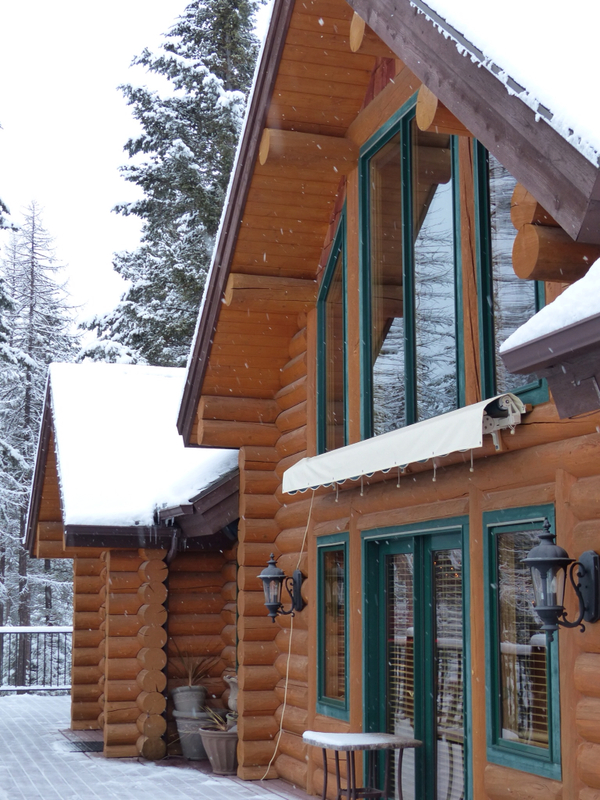 Our friends picked us up and we spent the next few days in their lovely log home settled in 25 acres of snowy beauty. 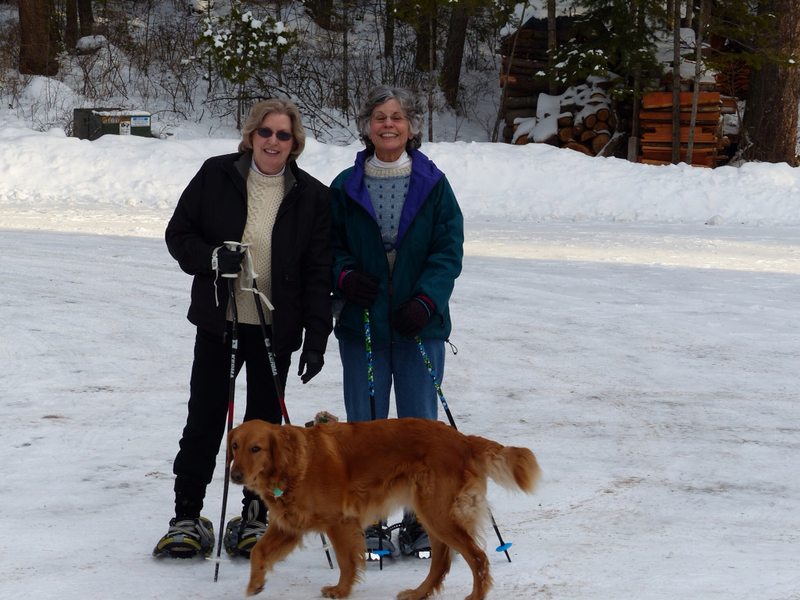 We spent a lot of time visiting and relaxing, but also got out and snowshoed. 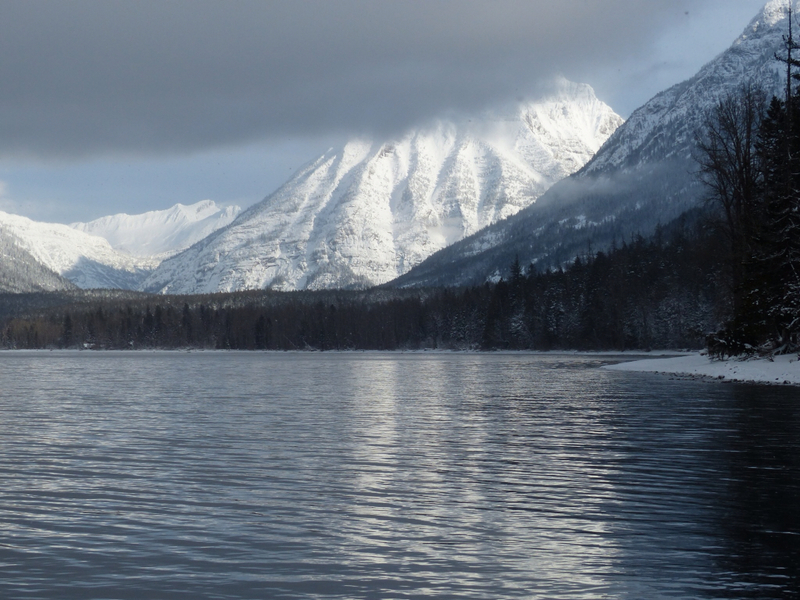 We drove up to Glacier National Park – surely one of the most beautiful places in the United States. We were delayed a day and a half coming home because our train got stuck in Chicago due to the extreme cold. But no one, including our hostess, seemed to feel that was a hardship. 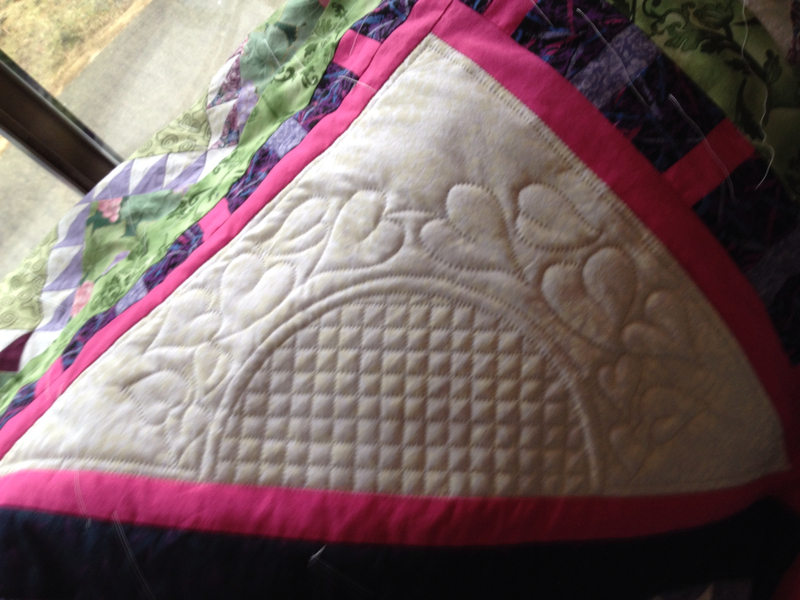 My renewed love affair with quilting continues. 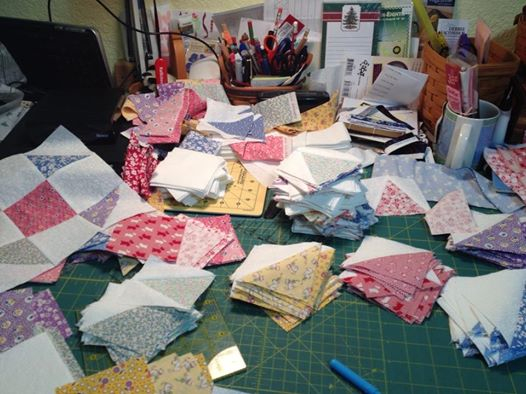 I’m In full piecing mode on my 30’s quilt. As you can see, creative minds are rarely tidy and when I’m in the midst of something I tend to have piles all over the place. The quilting is coming along on my no name quilt. I still need to come up with some filler for the small purple border and the corners of the big triangles. But they are secured down, so that can wait until I’m further along and inspiration hits. Sorry for the fuzzy picture. On the knitting front I’ve been concentrating on baby afghans. We seem to have a baby boom among our circle of family and friends. On our trip to Montana I was working on this one – Moving Mountains. 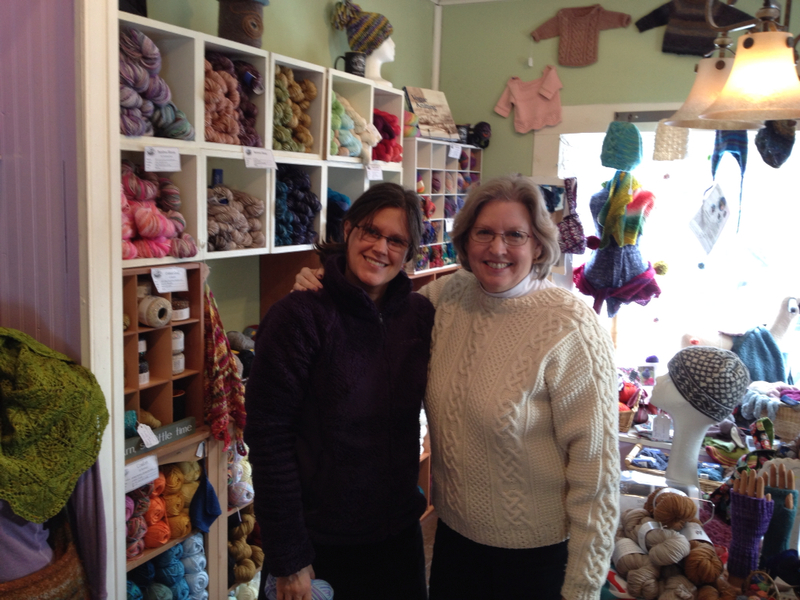 It seemed very serenditous that I visited the little yarn shop in Whitefish and discovered that the designer, Aimee Alexander, is the owner! I’m currently working on the next one, Mountain Chickadee, also by Aimee. I love her designs! And if my son is reading this, not to worry. I am working on your sweater too. 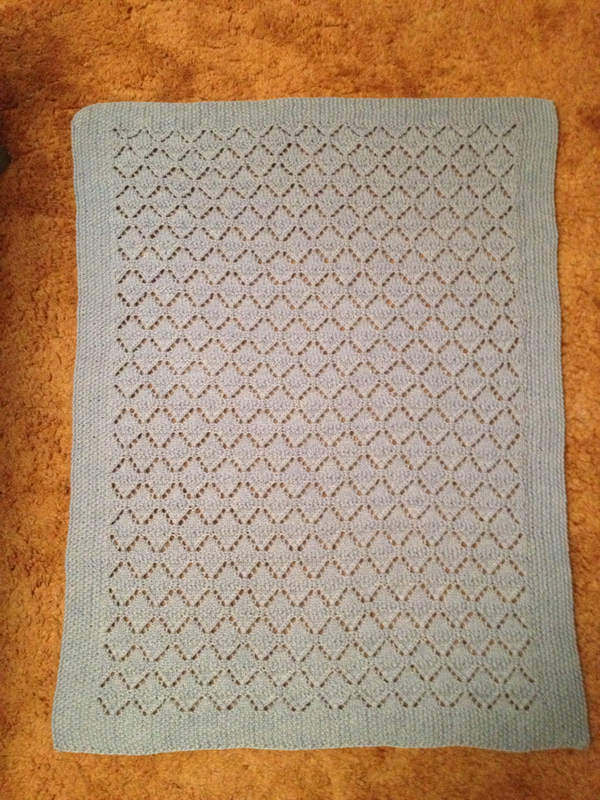 But miles and miles of stockinette do not make for great photo ops. I am also gearing up for the half marathon in April. Last year after we finished, Abby and I vowed we would never do it again. But, like childbirth, we forgot about the pain and signed up again. Only this time, Abby signed up for the FULL MARATHON! Way to go girl. I am only doing the half and this year will walk it. My sister promised that if I walked instead of ran she would do it with me, so I agreed. And honestly, I’m such a slow runner I don’t think it really makes that much difference. So there you have my life caught up until now. Lots of fun things to blog about in the coming months – the Madrona Fiber Fest, a trip to Utah to visit state parks with Bill’s brother and wife and a cruise to Alaska in September! Oh, and let’s not forget cataract surgery in May, which I am very excited about!